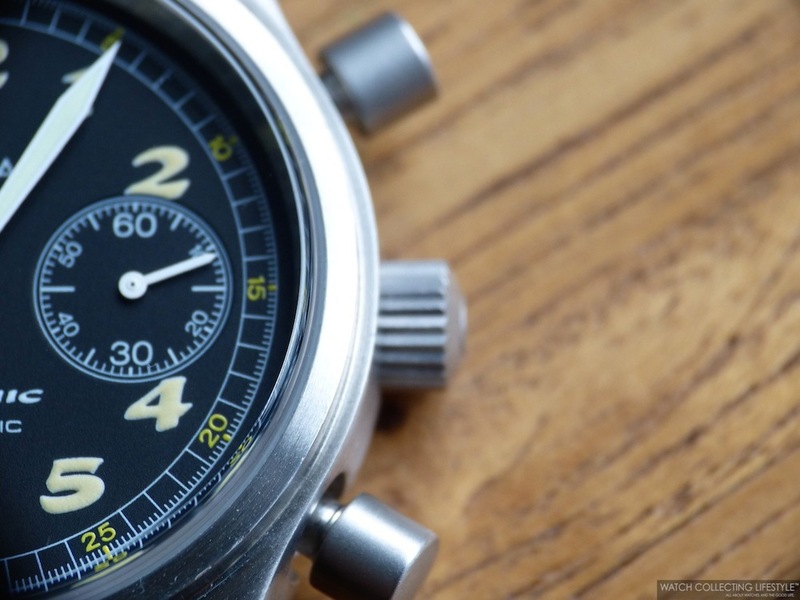 The Omega Dynamic Chronograph ref. 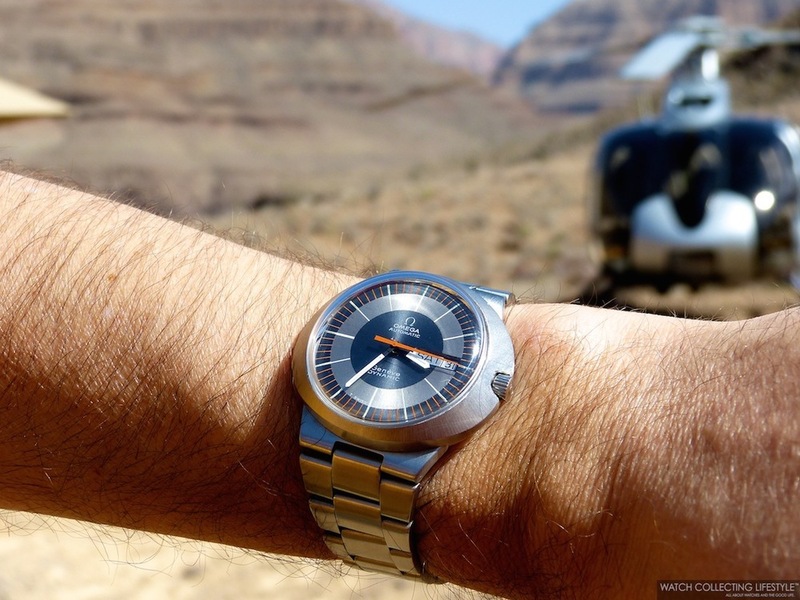 5240.50.00 launched in 1997 is considered by many the third generation of failed attempts by Omega to launch a successful watch under the 'Dynamic' name. To us, the third generation of the Omega Dynamic is not a failed attempt, but a watch that brings vivid memories of our watch collecting journey in the late 90s and a perfect example of those instances where we saying 'Third Time is a Charm' is the way to go. The first Omega 'Dynamic' was created for the Prix de Ville de Genève in 1965 and launched to the public in 1968. Fitted with an elliptical shaped case was one of the first watches to be designed in a way where the timepiece would follow the silhouette of the wrist and fit like a glove. The crown was integrated into the case so that it would not disturb the flow of the watch design and fitted with a removable case ring that would allow the wearer to switch straps easily—the ring would hold the back of the strap against the watch almost like a bund style strap. The straps, made in one piece from a porous synthetic material called Corfam had 'breathing holes' —like Driver gloves— and were widened near the case for a secure hold on the wrist. 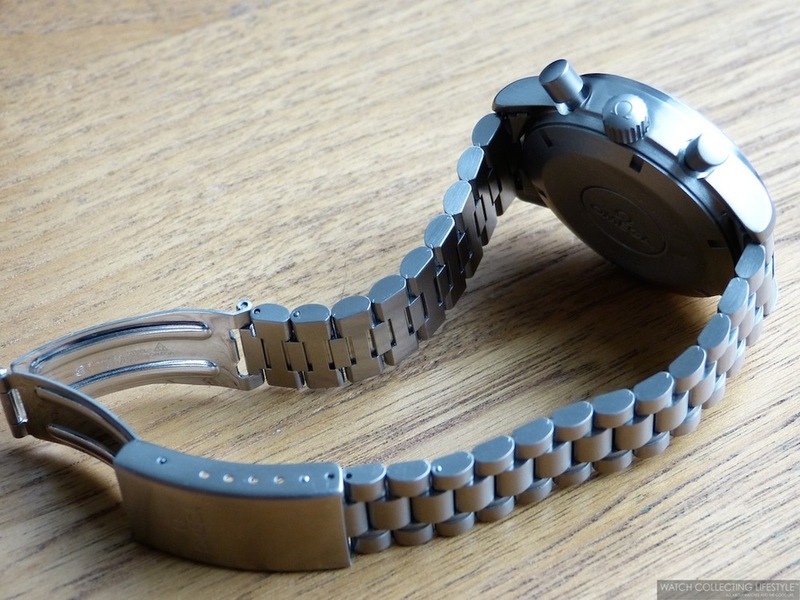 A watch’s owner could easily change the Corfam straps and metal bracelets with a key that came with the watch. In fact this watch was such a success that more than 1,000,000 examples would be sold between 1968 and 1972. Omega Dynamic Circa 1972 on Stainless Steel Bracelet. In 1984, Omega launched the second generation of the 'Dynamic'. Also featuring an interchangeable strap watch design, this time the second 'Dynamic' was equipped with an angled case —similar to the idea behind the Omega 'Bullhead' from 1969 reissued recently and reviewed here— in a way where one could tell time without having to turn the wrist around and powered by an ETA based quartz movement calibre 1430. After a few years, and even when this watch did maintain some of the DNA from its predecessor, the watch was discontinued and turned into the second failed attempt. Omega Seamaster 'Dynamic'. Image: Omega Museum. Finally the third and final generation of the Omega 'Dynamic' was released in 1997. A watch inspired by the aesthetics of the watches delivered to the British forces during World War II and worn by the Royal Air Force pilots, was intended to appeal to a younger consumer —mission accomplished as our editor first purchased one at the age of 25— and available in two versions. One with central seconds and date function —powered by the automatic Omega calibre 1108 based off the ETA 2890A2— and the other with a 30-minute chronograph —powered by the Omega 1138 which is the same as the 1108 plus a Dubois-Depraz 2030 chrono module. Both options were presented on vintage brown —similar to the Assolutamente Panerai straps— straps or fitted with a stainless steel bracelet. In reality, is hard to believe how this beautiful military inspired chronograph got discontinued less than three years after its launch. It is estimated that no more than 8,000 third generation Omega Dynamics where ever sold at a very affordable price tag of 1,550 Swiss Francs. 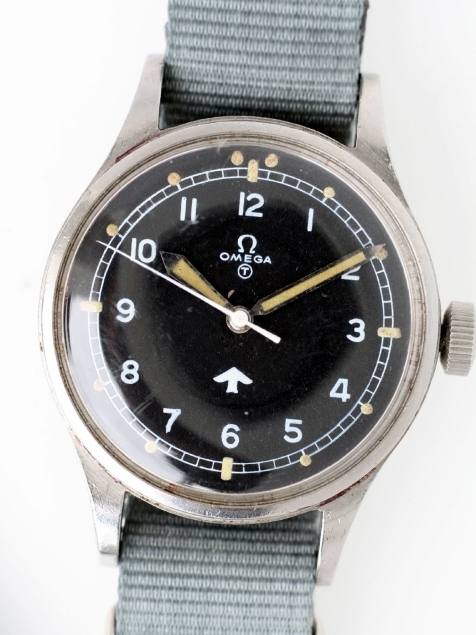 Omega 1953 RAF Pilots' Watch with Military Issue. Image: Corr Vintage Watches. One thing we know, is that you cannot launch three completely different watches in three different occasions under the same model name and expect to succeed. In 1999, a few months before the Omega Dynamic was discontinued, Omega launched a third version of the third generation 'Dynamic' as a limited edition to celebrate the last race —in 1973— of the legendary open road endurance car race held in Sicily, named 'Targa Florio'. Our guess is that the 1,973-piece limited edition of the Dynamic, was probably the best wayto clear up the inventory of cases and movements that were sitting at the factory. The 'Targa Florio' featured a matte black dial with white chrono registers, white chapter ring with red markers, Arabic numerals and it came in a special racing tire shaped box and with an engraved case back with the words "Giro di Sicilia" and the logo of the race. Not bad looking at all and we wish we could find one in mint condition. 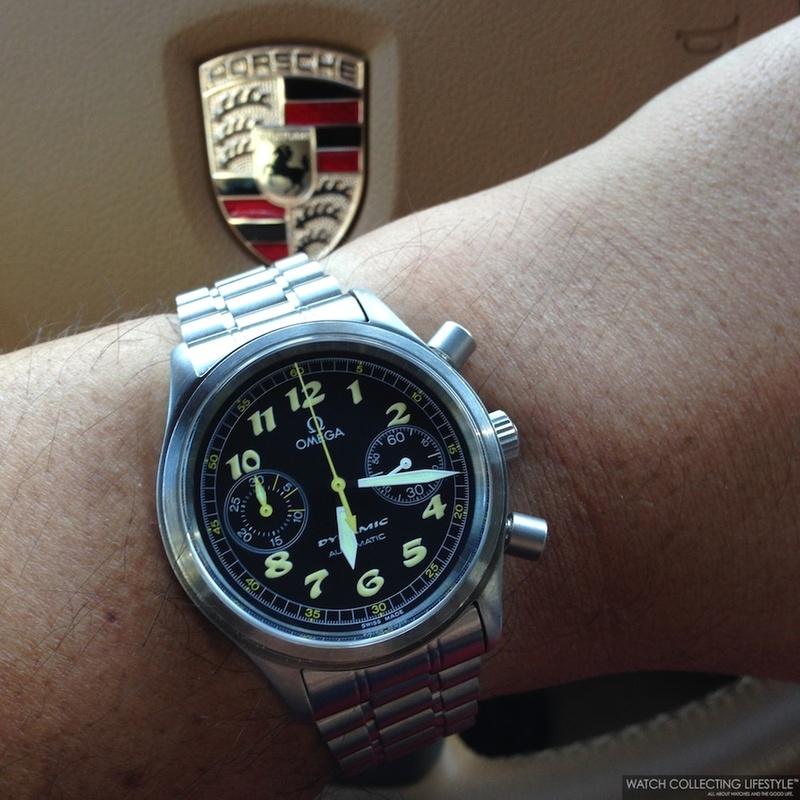 The Omega Dynamic Chronograph ref. 5240.50 is fitted with a 38.1 mm satin brushed finished stainless steel case, 30-minute chronograph, pump chrono pushers, screw-down crown, solid case back with sand blasted finish and one of the most beautiful matte black dials that Omega has ever released. While the crown is very robust and easy to turn, the pump pushers seem to protrude a little bit too much. Not a big deal anyway. Its beautiful matte black dial features Breguet style Arabic numerals with luminescent material, a running seconds register at 3, a 30-minute chrono register at 9 o'clock with yellow accents on the 3, 6 and 9 minute markers and a yellow hand, a white minute/second/1/5 of a second chapter ring with yellow accents, yellow chrono seconds hand and sword military hands with luminescent material. The registers on the dial are slightly recessed to add dimension and greater depth of field. Regardless of the many elements on the dial, this dial is well-balanced and doesn't feel cluttered or busy at all. The sapphire crystal on the watch treated with anti-reflective treatment on the inside allows for excellent visibility and full appreciation of the dial. The look of the crystal is very similar to a plexiglass. 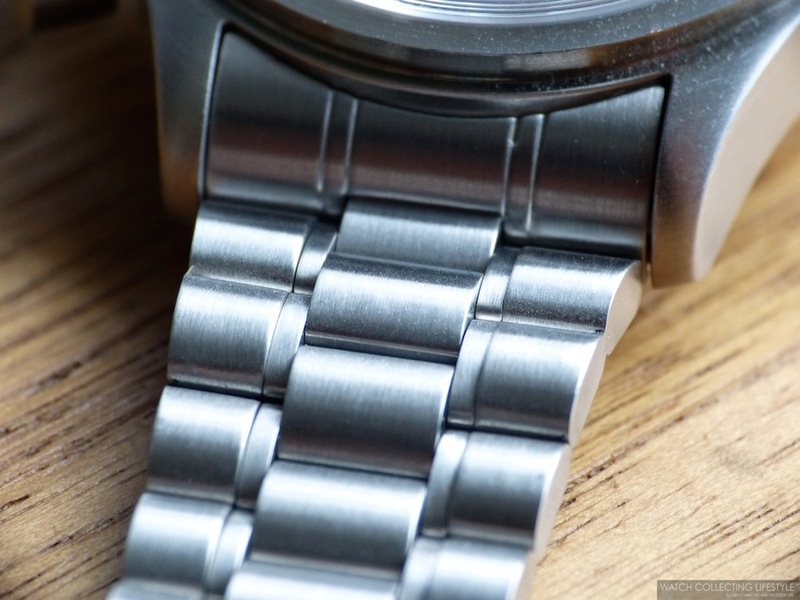 The bracelet on the watch is also satin brushed finished and quite nicely built featuring a nice clasp with the Omega logo on it and quite solid links—not flimsy at all and quite comfortable. Perhaps the biggest downside to this bracelet —as with most Omega older bracelets—, is the lack of screws to ease the link removal process. Other than that, this is one of the best Omega bracelets we have seen in years. As mentioned earlier, the beating heart inside the Omega 'Dynamic' Chronograph is the automatic Omega calibre 1138 which is an ETA based movement with a Dubois-Depraz 2030 chrono module on top. The calibre beats at a frequency of 28,800 vph, is fitted with 44 jewels —instead of 45 jewels as disclosed by Omega when the watch was released— and bears the engraving of the ETA shield logo with calibre number 2890A2 next to an Omega logo. Opposed to what other horology experts say, this calibre is a workhorse and smooth as butter when operating the chronograph. Additionally, upon opening the watch we found that between the case back and the movement there's an additional protective casing that could very well ensure anti-magnetic protection. The watch is water resistant to a depth of 50 meters/150 feet. On the wrist, prepare to be approached by watchlifestylers and watch collectors intrigued by its look and its fascinating wrist presence. Definitely a conversation piece among Omega fans and savvy watch collectors. The Omega 'Dynamic' Chronograph wears very comfortably with a nice feel to it thanks to its 127 grams of weight —as a reference this watch is heavier than a Rolex Datejust in stainless steel— but on the smaller side. Frankly, the watch wears more like a 36 mm watch rather than a 38.1 mm. 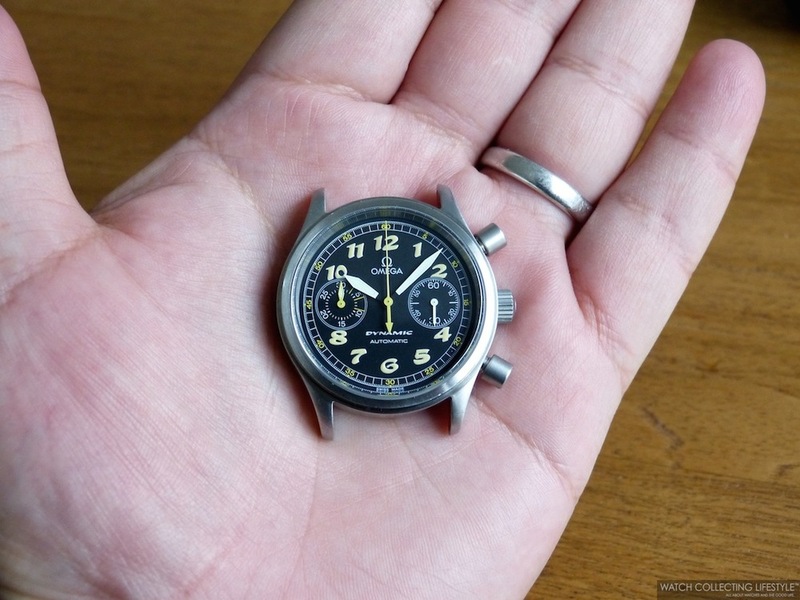 If you have big wrists exceeding a circumference of 7.25" this is a watch that you might want to avoid. The third generation 'Dynamic' labeled by many as a 'failure' or a 'loser' is to us a true classic and a real winner in the rich history of Omega. This watch is definitely a rare bird that is worth getting. For those of you that like the NATO look, we can say that this watch was almost born to be worn on a leather NATO strap. We have included a few pictures at the bottom of the post for your viewing pleasure. Sticker Price $1,800-2,500 USD depending on condition and availability of box and papers. For more info on Omega click here. Posted on June 18, 2014 by Editor & Publisher and filed under Omega and tagged Omega Dynamic Chronograph Omega Dynamic ref. 5240.50.00 Top Brands.